Cloud Computing Today - Risolv IT Solutions Ltd. Cloud computing reduces initial capital investment, and also provides new companies the ability to get up and running in a short amount of time. One of the major results of the cloud computing platform has been the three new delivery mechanisms enabled but this technology: Infrastructure-as-a-Service (IaaS), Platform-as-a-Service (PaaS) and Software-as-a-Service (SaaS). These services are ready for consumption and as a result they tend to cater directly to business owners and users. While the delivery has been simplified, the complexity of the entire solution tends to increases as many more third-parties are now a part of the solution. 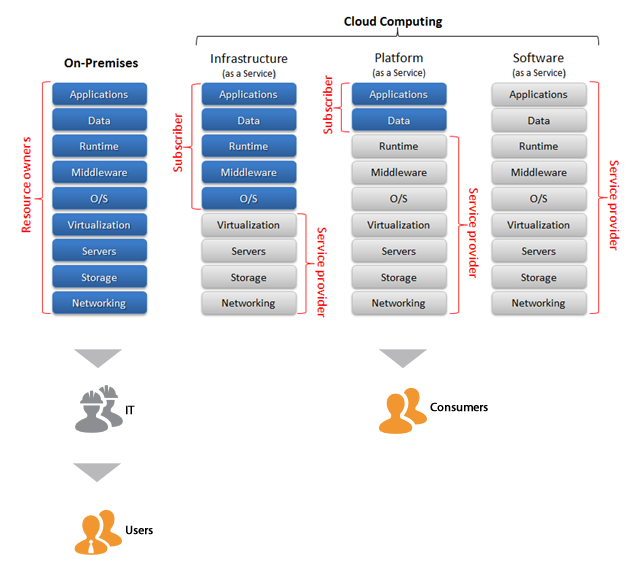 On-premise, cloud-based and hybrid solutions all have their advantages and disadvantages. In order to choose the best solution for your business, proper planning is necessary. Take the time to have a discussion regarding your short and long term goals with your IT team.